Some treatments are effective but their limitations, as well as the detrimental effect of any depressive episode on the future course of the disease, make prevention crucial . Among large-scale preventive interventions, acting on modifiable factors such as diet is a good candidate for public health action. 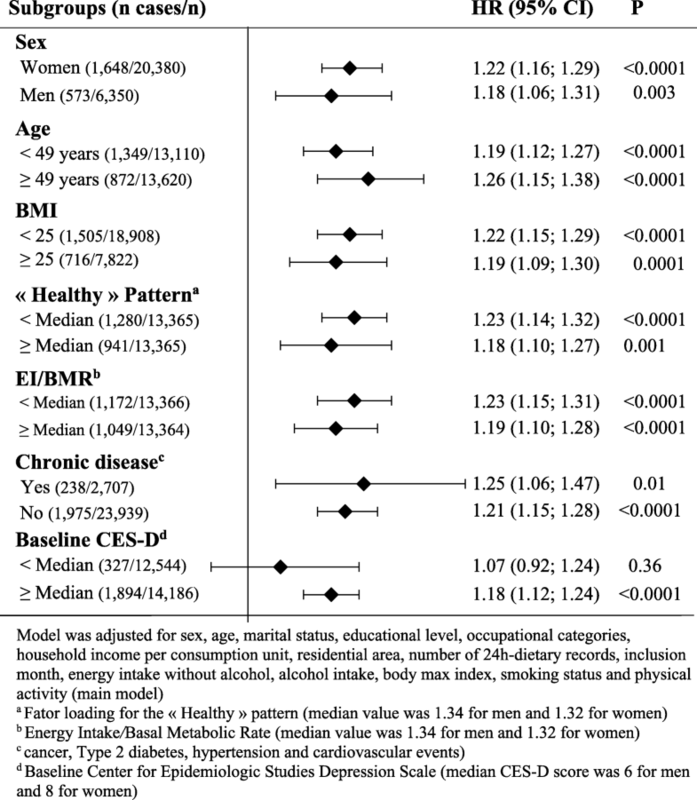 Large-scale epidemiological studies have consistently documented an association between a healthy diet or dietary indexes reflecting the holistic quality of the diet and a lower risk of depression [4–7]. 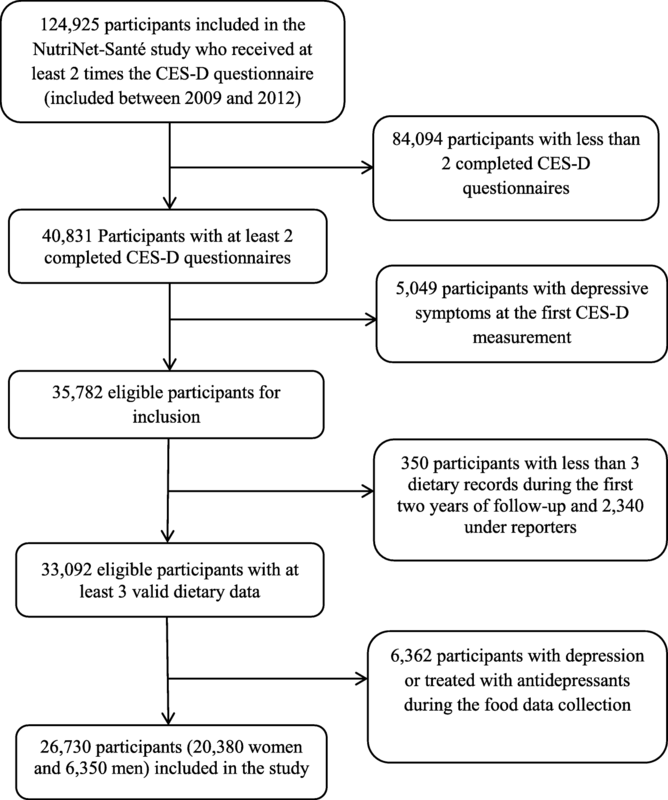 For instance, in the NutriNet-Santé study, we have observed that several dietary indexes reflecting nutritional recommendations were prospectively and inversely associated with the risk to develop depressive symptoms . On the opposite, a western dietary pattern or pro-inflammatory diet characterized among other things by more processed foods has been associated with poor mental health [5, 6, 9]. Previous studies that reported associations between these diets and depression considered nutritional characteristics of the diet and interaction within the food matrix. However, some of those diets integrate a large part of ultra-processed food (UPF) (i.e., industrial recipes that are practical, ready to eat, and palatable ) which consumption has drastically increased over the past decades [11, 12]. For instance, a recent American study reported that, between 2007 and 2012, about 60% of the overall energy intake was provided by UPF . In the French NutriNet-Santé study, UPF contributed to 35.9% of the daily energy intake and the proportion of UPF (%UPF) in the diet has been associated with a poor overall quality of the diet .